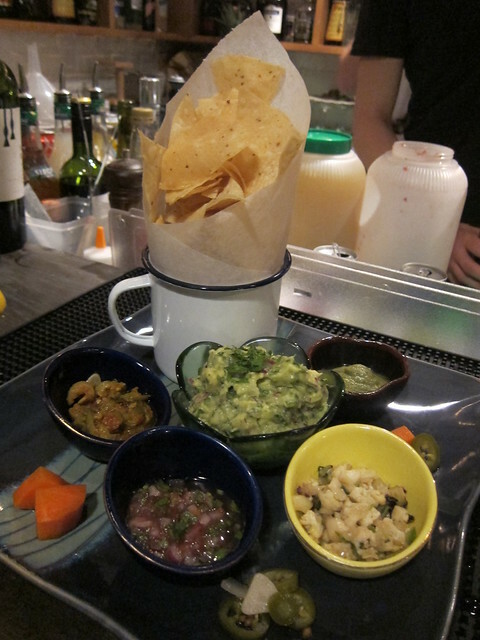 I thought I had it down pat with Mexican food after the last culinary foray into the sleepy town of Sai Ying Pun. Being able to articulate the differences between a taco and a burrito (it’s not difficult), I thought I was it. Then come along Brickhouse and everything I know was thrown out of the window. I could reminisce about the adventure of finding the joint; mischievously tucked in a back lane guarded by a built-in-bouncer of a Chinese uncle selling cheap purses, right in the heart of the heaving mess that was Lan Kwai Fong. Google Map was of no use to pinpoint its exact location; hint – it is located where the famous Fa Zu Jie is. I could gush enthusiastically about the infectious vibe of the jolly hearted patrons and the truly hospitable wait staff, who made our almost two-hour wait for a table decidedly a social event on its own. We sang, we laughed and we had a few drinks (it’s Mraz, geddit? ).